Composed by Johann Pachelbel (1653-1706), arranged by Simon Salz. Guitar tablature single for solo guitar. Intermediate. D Major. 4 pages. Published by Alfred Publishing. Composed by Johann Pachelbel (1653-1706), arranged by Dan Coates. 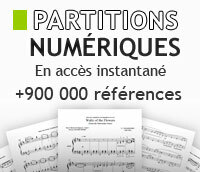 Single piece for easy solo piano. D Major. 5 pages. Published by Alfred Publishing. 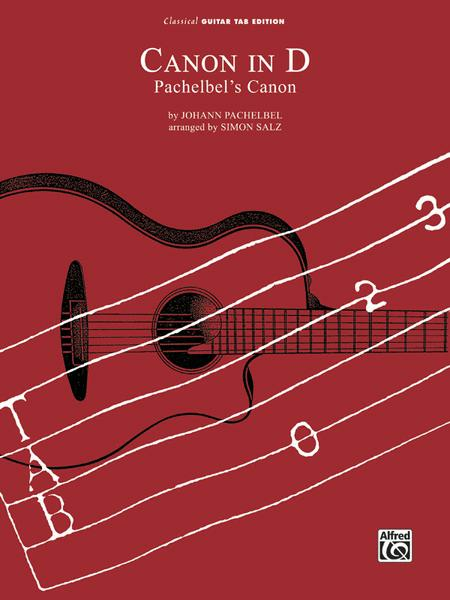 By Johann Pachelbel. Arranged by Willard A. Palmer. For Piano. Piano Solo. Masterwork. Level: Intermediate (grade 4/5). Sheet. 8 pages. Published by Alfred Publishing. By Johann Pachelbel. Arranged by Willard A. Palmer. For Piano. Piano Solo. Simply Classics Solos. Masterwork. Level: Intermediate (grade 4/5). Sheet. 4 pages. Published by Alfred Publishing. By Johann Pachelbel. transcr. Robert Schultz. For Piano. Piano Duet (One Piano, Four Hands). Masterwork. Level: Intermediate. Sheet. 8 pages. Published by Alfred Publishing. Composed by Johann Pachelbel (1653-1706), arranged by Robert Schultz. Single piece for solo piano. D Major. 10 pages. Published by Alfred Publishing. Composed by Johann Pachelbel (1653-1706), arranged by Dennis Burns. Guitar solo single for guitar. With standard notation (no tablature) and fingerings. D Major. 4 pages. Published by Alfred Publishing. Composed by Johann Pachelbel (1653-1706). Single piece for solo piano. D Major. 4 pages. Published by Hal Leonard. Composed by Johann Pachelbel (1653-1706), arranged by Dan Coates. Single piece for solo piano. 5 pages. Published by Alfred Publishing. By Johann Pachelbel. Arranged by Tibbetts. For Brass Quintet. Published by BVD Press. String Quartet. By Johann Pachelbel. Arranged by Donald Fraser. Fentone Play Along Books. Play Along. Size 8.25x11.75 inches. Published by Fentone Music. By Johann Pachelbel. Edited by Gurgel(Urtext). For 3 violin, cembalo, violoncello/contrabass. Play-along CD. Published by C.F. Peters.